What's the Best Olive Oil? Using the best olive oil makes a big difference in getting all the menopause health benefits from this superfood. You probably know by now that olive oil is the magic ingredient in the Mediterranean diet. It helps lower your risk of heart attack and stroke. In fact, olive oil turns off the genes that turn on heart disease and inflammation. 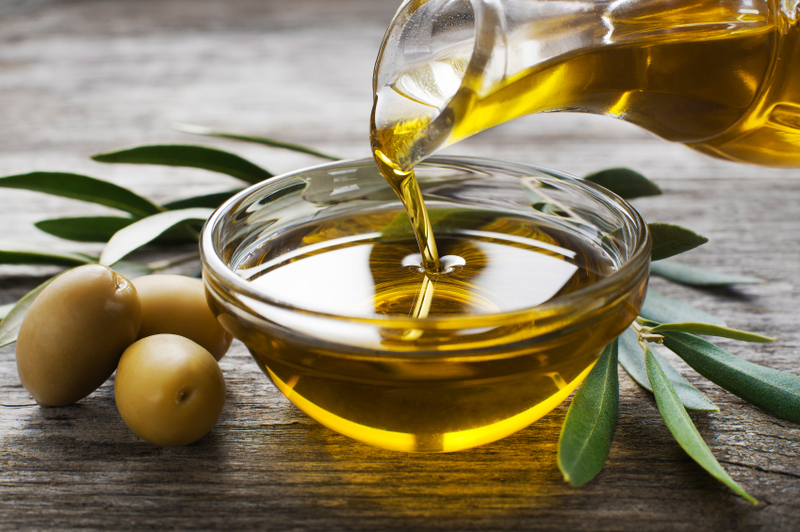 Olive oil even protects your bones after menopause. But does the bottle in your cupboard contain the best olive oil for your health? For years the olive oil industry has been embroiled in controversy surrounding the purity of extra-virgin olive oil. Instead of protecting you from disease, adulterated olive oil may be adding to your health woes. The term "extra-virgin olive oil" is legally regulated. It means the oil has been made from mechanically crushed olives. It can't be refined in any way by chemical solvents or high heat. It has to pass a chemical test. But it also has to pass the smell and taste test by experts. There was no such thing as "extra-virgin olive oil" before the 1960s. It had to be invented when stainless steel milling technology allowed for the production of different grades of olive oil. But the new milling process is very expensive. That leads lots of producers to take shortcuts. Some blend extra-virgin oil with lower grade vegetable oils. 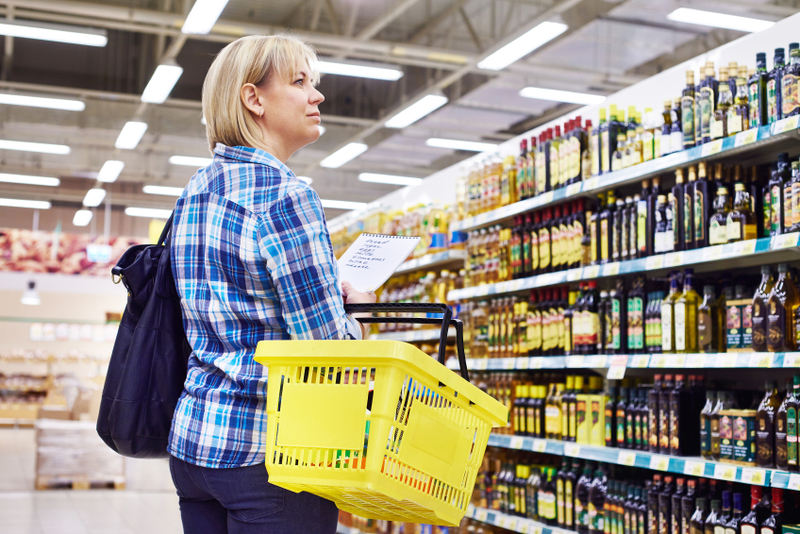 When the Olive Center at the University of California at Davis tested extra-virgin olive oils on supermarket shelves, they found 69% didn't pass the smell test and 31% were oxidized or had poor chemical quality. They also tested 15 samples of extra-virgin olive oil from restaurant suppliers. They found 60% failed to qualify as extra-virgin. One even contained canola oil. Why does getting the best olive oil matter? Quality counts when it comes to olive oil's health benefits. Olive oil goes rancid quickly and loses its antioxidant and anti-inflammatory properties. Bad olive oil actually adds to your body's burden of free radicals and impurities. Whose extra-virgin olive oil can you trust? Recently Bertolli and Whole Foods 365 brand 100% Italian olive oil both earned quality seals from the North American Olive Oil Association (NAOOA). Pompeian is the second largest olive oil bottler in the U.S. and the only one that has undertaken to voluntarily comply with the USDA's olive oil quality standards. It has earned both USDA and NAOOA quality seals. But as with wine, olive quality can vary season to season. Just a few years ago 33% of 45 samples from the same three brands failed to meet chemical standards and 84% failed to meet taste and smell standards when tested by UC Davis's Olive Center. One problem is that most bottlers don't own olive groves. They buy from middlemen who may buy from other middlemen making quality control a challenge. And your "Italian" olive oil probably isn't. It's estimated that 40% of bottles labeled "Italian" originated in other countries like Spain, Greece, or Tunisia. It's just that Italy is the largest importer of olive oil and bottles the oil for resale. But the label should disclose the origin of the olives used. Check the date. Olive oil is a fruit juice and should be fresh. Look for an expiration, harvest, or press date. Use it within two years of harvest. Dark glass bottles. Light causes olive oil to oxidize and go rancid. Buy your olive oil in dark bottles or tin containers. DOP Certified Italian Oil. Under Italian law, oil designated D.O.P. (Protected Designation of Origin) means the olives are grown, harvested, processed, and shipped from the place listed on the label. Beware of Bargains. Extra-virgin olive oil is expensive to produce and ship. You get what you pay for. Avoid "Light" Olive Oil. Light and extra light olive oil is highly refined. It has little flavor and is almost clear in color. It has the same number of calories and none of the health benefits of extra-virgin olive oil. For more information on the great olive oil scam read Tom Mueller's Extra-Virginity: The Sublime and Scandalous World of Olive Oil.